The SERVO-i is your given choice from a cost and treatment perspective. 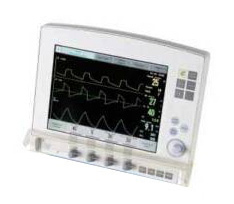 The standard configuration comprises ventilation modes and functions for stabilized patients. Options like Pressure Regulated Volume Control (PRVC) and Volume Support (VS) can easily be added on. The SERVO-i can easily be upgraded with additional functionality and/or a wider patient range. Backwards compatibility ensures that future functionality can be added.